Land is the missing element at next month’s big U.N. sustainable development summit known as Rio+20, where nations of the world will meet Jun. 20-22 with the goal of setting a new course to ensure the survival and flourishing of humanity. However, governments are apparently unaware that a reversal of decades of land reform is underway with speculators, investment banks, pension funds and other powerful financial interests taking control of perhaps 200 million hectares of land from poor farmers in Africa, Latin America and Asia in recent years. Speculators and investors know land is the key to three necessities of life: food, water and energy. But neither land nor community land rights are on the summit agenda. “Rural people are losing control over land and water because of this global land grab,” said Honduran farmer leader Rafael Alegria of the international farmers’ movement La Via Campesina. Anywhere from 80 to 227 million hectares of rural, often agrarian land have been taken over by private and corporate interests in recent years, according to an April report released by Friends of the Earth International. Many small land holders are being displaced in Central America and up to 40 percent of Honduran small farmers live in extreme poverty, according to the U.N. Food and Agriculture Organisation, Alegria told IPS through a translator. Bilateral trade agreements have allowed the U.S. to dump its highly subsidised maize and rice on Honduran and other markets, depressing prices and making it impossible for locals to compete, he said. Unable to survive on their lands, poor farmers sell or abandon their land and move into the city or become hired labourers. Resistance has been met with violence. Local people have been evicted, arrested and killed by police and armed security forces in Honduras and other places. Most of the media in Honduras is controlled by a wealthy elite who are very conservative and only interested in profits, he said. “Controversial land acquisitions were a key factor triggering the civil wars in Sudan, Liberia and Sierra Leone,” said Jeffrey Hatcher, director of global programmes for the Rights and Resources Initiative (RRI), a UK-based coalition of NGOs. “Local land rights are being repeatedly and tragically ignored during an astonishing buying spree across Africa,” Hatcher said in a release. RRI and others have documented hundreds of land deals where governments are cutting deals with investors over land that really belongs to local communities. 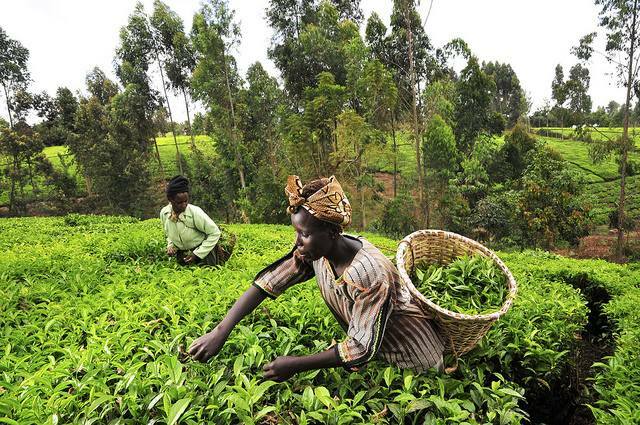 In fact, more than 1.4 billion hectares of rural land including forests in Africa are held in common by communities yet governments arbitrarily claim them. Local communities are rarely included in negotiating the terms of a purchase or lease, even in countries where laws recognise such lands as private property, research by RRI revealed. In fact, many don’t know their lands have been sold out from under them until the bulldozers arrive. John Muyiisha, a farmer from Kalangala, Uganda, says he awoke one morning to find bulldozers destroying his crops. Nearly 10,000 ha of the 40,000 ha of forested islands off the coast of Lake Victoria in Kalangala have been turned into oil palm plantations, according a report released late last month by Friends of the Earth Uganda. The World Bank provided millions in funding and technical support to get the project started. “People’s rights to land are being demolished despite protection for them under the Ugandan Constitution,” said David Kureeba from Friends of the Earth Uganda. Testimonies from local people confirm that despite the promise of jobs, they’ve lost their means of livelihood and are struggling to make ends meet. The region’s small scale farming and forestry that protected unique wildlife, heritage and food of Uganda is being converted to palm oil wastelands, Kureeba said in a release. Much of this is being presented under the guise of a new green economy that promises to feed people and alleviate poverty, said Devlin Kuyek of GRAIN, an international NGO focused on sustainable agriculture. “How can poverty and hunger be addressed by taking away the land and water resources people need to survive?” Kuyek said in an interview. The World Bank, International Finance Corporation and the World Trade Organization facilitate land grabs because it is convenient from them to believe this will solve the development problems of the global south, including poverty, he said. The Rio+20 effort recognises that major changes are needed to the global food system given the fact that more than a billion people go hungry every day. However, governments are not seriously looking at the real alternatives to a failed industrial agricultural production system, he said. Nor are governments in Rio likely to address land rights issues. At best they’ll endorse a voluntary code of conduct such as the World Bank’s “Principles for Responsible Agricultural Investment” known as the RAI. The evidence is clear that such voluntary codes of conduct have never worked on a large-scale anywhere, said Kuyek. via Struggles over Land Rights Fall Under the Rio+20 Radar – IPS ipsnews.net.